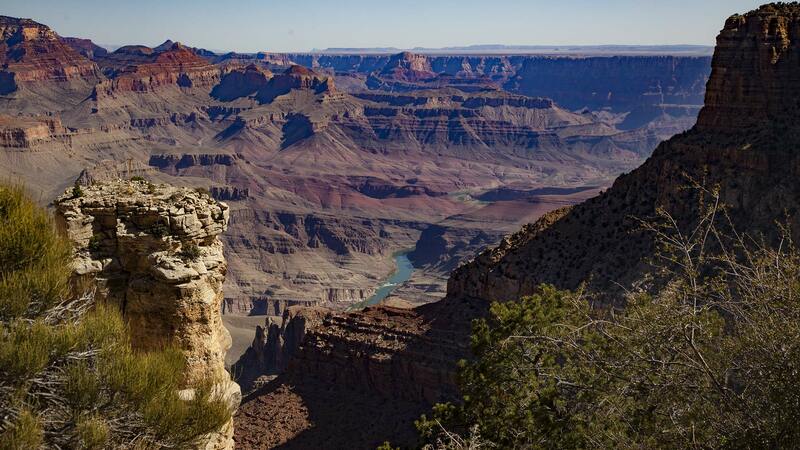 An Arizona lawmaker is again pushing a bill to halt uranium mining near the Grand Canyon. He outlined a proposal Saturday that would make permanent a moratorium on new claims across 1 million acres of public lands. Rep. Raúl Grijalva has introduced similar bills several times in recent years. He calls it the “Grand Canyon Centennial Protection Act.” But this time he is positive in finding stronger support this time in the Democratic-controlled House, where he is chairman of the Natural Resources Committee. On Saturday, he introduced the idea at the Canyon, flanked by Havasupai, Hualapai, Hopi, and Navajo tribal leaders, in a building near the park’s South Rim. The building was packed with park visitors, tribal members, and environmental advocates. It should be noted that the original 20-year moratorium on new mining claims has been imposed in 2012 by former Interior Secretary Ken Salazar imposed the original 20-year moratorium on new mining claims in 2012. Grijalva declared about his plan just days before the 100th anniversary of the Canyon’s status as a national park. And co-incidentally his announcement also past the news broke out about buckets full of uranium ore sitting in a South Rim museum, exposing visitors and employees to small amounts of radiation. The importance of the Canyon to surrounding indigenous communities could be seen by the presence of the tribal leaders. Some of the tribes are yet not recovered from the effects of uranium mining and still dealing with the effects of uranium mines that sickened or killed people who lived or worked nearby. Tribal leaders are afraid of the potential contamination of the environment by new mines. Richard Powskey, a Hualapai tribal council member, said it had been a decade long effort to protect the Grand Canyon’s regional watershed and the communities are not ready to give up. Ethan Aumack, executive director of the Grand Canyon Trust, an advocacy group, said contaminated water is being pumped from one operation, the Canyon Mine, even though it has not produced new ore for years. Mines, he said, “are inactive because uranium remains too costly to mine.” The group also has released a new report stating that uranium mining in the Grand Canyon region is not necessary for national security. By convention, Uranium mining has been a toxic and touchy topic for Arizona politicians, who laud the cultural significance the Grand Canyon holds for tribes, as well as the ecological importance as the cradle of the Colorado River. But there is no denying that rich uranium deposits sitting outside the park’s boundaries are highly sought after and as per many local politicians, the state can pursue economic interests while also preserving the Canyon. Two years ago, President Trump issued an executive order that directed federal agencies to examine policies that could slow energy development on public lands. One of those recommendations was reversing the moratorium on uranium mining near the park. The same has been upheld by the court as well. Republican lawmakers have pushed to lift the ban, which would open up 1 million acres around the Canyon to developers by not tweaking the other existing claims. In that same statement, Rep. Andy Biggs, R-Ariz., members of the Congressional Western Caucus and mining stakeholders condemned the new proposal and reconfirmed their position against the restrictions on a huge reserve of breccia pipes in the Grand Canyon region. Some of those pipes are essentially plugs of high-quality uranium, which Gosar stressed are “far outside” the canyon. Though energy independence is on the priority list on the minds of Democrats and conservationists like Grijalva, they say the risk from mining is not worth potentially damaging the delicate and thriving ecosystem that inhabits one of mankind’s timeless treasures. It should be reported here that efforts to push the permanent ban through Congress have stopped and it never earned a hearing from a Republican-controlled House. Grijalva said he was confident that the bill would get to see the daylight. If passed in the Democratic House, it would move to a Republican-led Senate and face a doubtful future.